My latest coauthored book, My Journey My Journal has been launched! Your journal is your sacred place. Here you can capture and nurture your most creative thoughts and inspired ideas. 215 of the finest minds and biggest hearts in the world of empowerment have come together in this bestseller to encourage you daily to realize your greatest vision.My CoAuthors and I urge you to find power and inspiration within yourselves. Only by experiencing your own unique journey, can you truly live a fulfilling life where no opportunity is missed. All advice in this award-winning, cutting-edge journal will ultimately help you in facing personal/professional challenges with courage and resilience. Check out the book trailer: https://youtu.be/4T2n7OdF3zk. Feel free to share with family and friends. 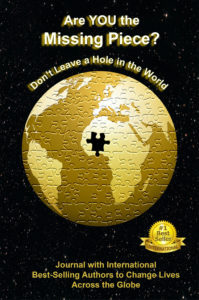 Available at Amazon or contact Wanda to get this book in the London, ON area without shipping costs. Click here for product in Shop. Looking for Inspiration? Finding Inspiration is Wanda’s ebook to help you carve out those moments of reflection and creativity. Click here to purchase the download for $3.97! Wanda provides holistic health options including Reiki to improve your energy. It is Time to Take Responsibility for Your Own Health. Wanda is excited to offer the book she coauthored. A powerful book for women involving healing your energy body, nutritional healing, food allergies, the mind-body connection, stress management, coping with depression, restoring vitality, rebuilding self-esteem, benefits of self-care and more! Written by international naturopaths, chiropractors, wellness consultants, empowerment coaches, including Holistic Health Practitioner Wanda Davis, this book helps you live a healthier life. This highly anticipated book is now available from the contributing authors, Professional Woman Publishing, and Amazon Books. 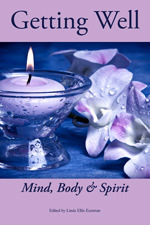 Here is a “Peek” from Wanda’s chapter, titled Healing Your Energy Body. Wanda is coauthor of Getting Well. Mind, Body and Spirit. Contact Wanda to purchase your copy of Getting Well. Wanda offers free delivery in the London area. For shipping elsewhere, please pay by PayPal by clicking on this link.